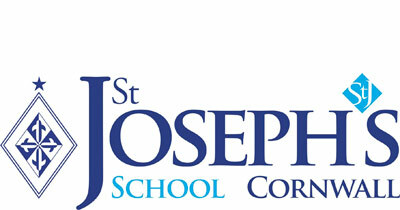 Community and partnership are key values at St Joseph’s School, Launceston and all involved in the Junior School are delighted this has now been recognised on the national stage with a nomination for Excellence and Innovation in Partnership at the Independent School’s Association Annual Awards. St Joseph’s is one of only three schools to have made the final in this important category, one that shows both the value Independent Schools can bring to their community, and the value of working with others. The nomination recognises the hard work of the teaching and non-teaching staff in engaging with the local community, and working far beyond the classroom. 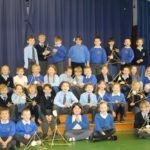 The school has worked hard over the past year to increase community access to resources and talents during the school day and beyond, something that is set to develop further in the coming year. 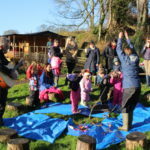 Stand and Play, managed by the outstanding Mrs Hampton, has become a highly popular addition to the community offering for pre-school children, and allows children to develop in the outdoor setting of the orchard and outdoor classroom. 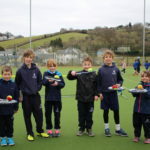 Meanwhile, use of the school mini buses, hosting multi-skills and pre-school sports days and hosting maths teaching workshops, as well as science outreach and MFL offerings are key to community involvement. Seeing the maturity with which Year 6 help children from local preschools and younger primary children at these events has been inspirational.